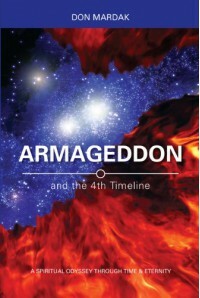 Armageddon and the 4th Timeline by Don Mardak is a thrilling ride from the first page. This science fiction novel combines time travel, spiritual themes, a fascinating mix of characters and modern intrigue to create an ‘un-put-down-able’ novel. Mardak'sArmageddon and the 4th Timeline is a science fiction novel, containing elements of time travel. It is set in 'the Present' with a clear aim of trying to reconcile what is happening. There is a definite sense of good and bad in the novel. Mardak’s fascinating use of the scriptural characters of Paul and Silas to both examine Christianity, and to change the future, is an amazing read. How Mardak structures the novel is particularly well done, so that the ending is both satisfying, works in a science fiction way, and races to the finish, all at once. The novel examines the various tenets of a number of the main religions (Christianity, Tibetan Buddhism, and Judaism) using them as plot devices: e.g. Paul's Missionary Journey. This exploration of religion is quite a wild ride, but worth it. The first third of the novel introduces us to the characters: to the CIA, the issues related to Eric and Kathy, and to the Himalayan mystic Shimahn. This first third also introduces broader geopolitical issues, as well as setting up the 'four dimensional world of space time'. In the second section of the novel the actual time travel begins. We see its effects from Eric's point of view. He is an interested participant. In this section Mardak makes good use of structure to make his point, but also to move the plot along. The last third of the novel brings everything together: the time changes and the new ideas and perspectives. There is an ending which is in some ways surreal, and which is beautifully realised. One of the main themes of this book is religion. It's a fascinating book because I believe many people see Religions as having "Truths" and this novel certainly plays with some of those. Anyone who believes that the Bible is the written word of God will have a difficult time with this novel. That said, it is far from Mr. Mardak's aim to make anyone annoyed about this. I feel, quite the contrary. The novel discuses time travel and how it can save the world. What difference would it make to war? Mardak also asks what kind of world are we creating? How do we cause and prevent nuclear holocaust? Armageddon and the 4th Timeline is also about an attitude of helping and working together to create change. A minor quibble about the characters is the character of Kathy. I didn't feel that she had very much to say for herself, and was a little too passive for my liking. Eric, however, is well written and his relationship with Kathy is nicely drawn. The CIA group are depicted as a good bunch. They sounded quite different to Eric and Kathy: they were exciting and gun-ho. They were well drawn. 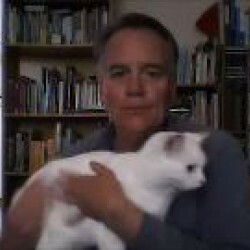 The scenes in the desert were particularly evocative and the relationships depicted there, though brief, remind the reader that some of the central ideas of the novel are relationship and awareness. The different families in the desert remind the reader that families have many different shapes. In terms of diversity and families there are a range of families: Lori Colbert is a divorced mother, Kathy and Eric have been married seven years and there are the families in the Sinai desert. There is also the relationships between Shimahn and Eric and Kathy, and between Paul and Silas. Mardak also emphasises diversity by depicting various religions and mixing those religions in unique ways. Armageddon and the 4th Timeline has a thoughtful purpose, but is highly readable and action packed. Mardak's plot is well structured and he makes good use of characters. From the first “gloomy Thursday in Langley…” (Ch. 1) I wanted to read on, to find out what was happening, what was going on. The science fiction genre makes a twist with a spectacularly good ending. I am happy to rate this novel as 4.5 out of five stars.